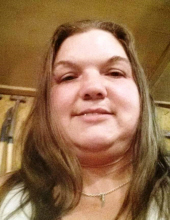 Teresa Lishea Brown, age 41, of Princeton, passed away Saturday, April 6, 2019 at her home. Teresa was a member of Pleasant Hill Baptist Church in Eddyville. She is survived by two daughters, Destiny Chavis of Wilmington, NC, Makayla Brown of Eddyville; mother, Irma Brown of Eddyville; uncle, Kevin Moiser of Eddyville. She was preceded in death by her father, Corbett Brown; grandparents, J.T. and Nina Bell. To send flowers or a remembrance gift to the family of Teresa Lishea Brown, please visit our Tribute Store. "Email Address" would like to share the life celebration of Teresa Lishea Brown. Click on the "link" to go to share a favorite memory or leave a condolence message for the family.